In my house we jump from Halloween to Christmas in the decorating department. That is until this year when my daughter went to dumb old kindergarten and started learning about fall. Gah, why did you guys have to let her in on the fact that there is a holiday to decorate for in-between my two biggies. Sure she knows all about turkeys and pilgrims, she just didn't know people decorated for it. I had no choice but to embrace fall this year. 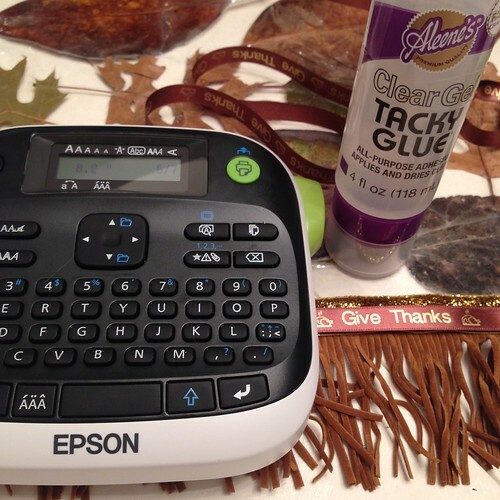 With the help of some Tacky Glue, colorful leaves and a laminating machine I might just be getting the hang of this fall decor thing. 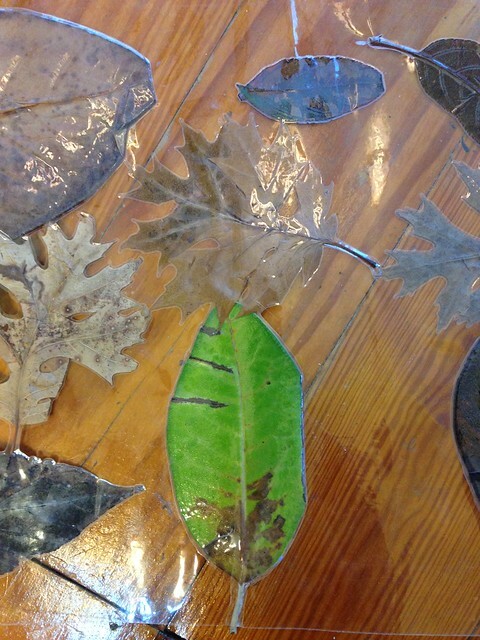 The first thing I did was run several fallen leaves through my laminating machine. You will need somewhat sturdy leaves and you want to feed them in continuously in a random pattern. 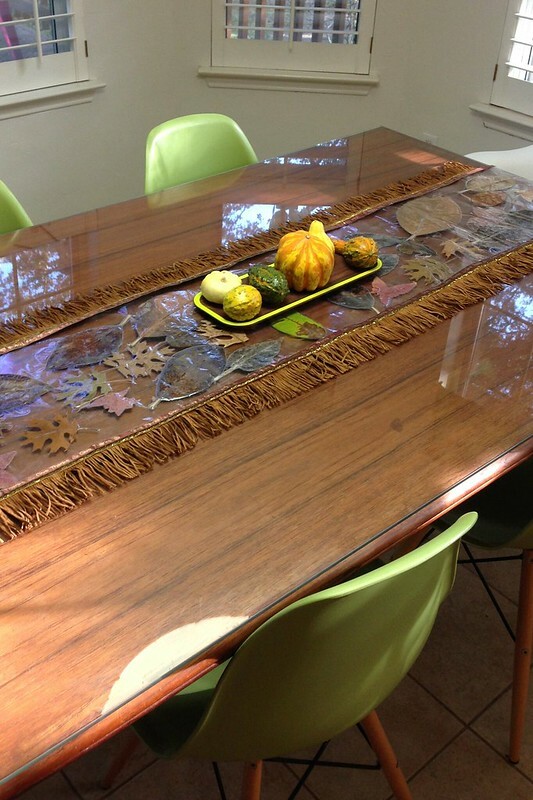 Keep laminating leaves until you have a sheet the length of your table. 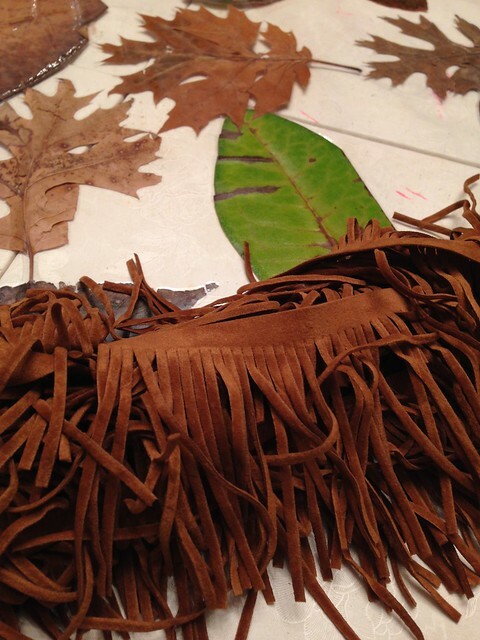 The leaves are gorgeous as is, but some festive fringe trim never hurt anyone. Feel free to layer and add more than one trim, I went with three. 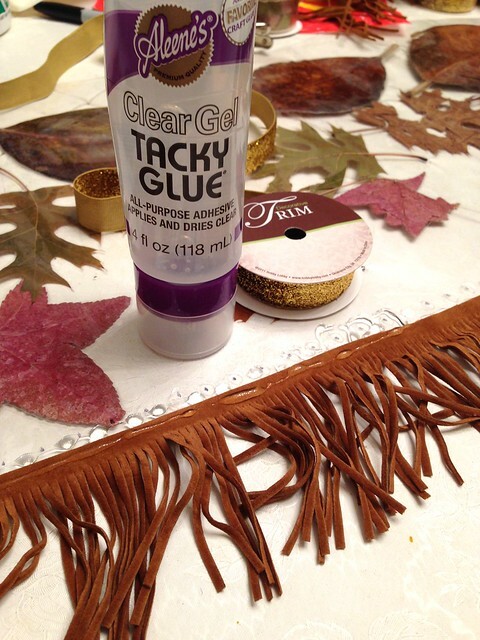 Use Aleene's Always Ready Tacky Glue to attach your trim. 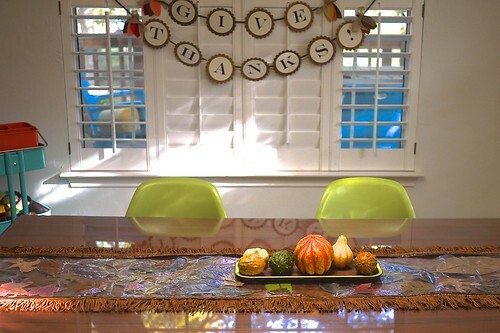 I used an Epson Printable Ribbon Kit to customize my table runner. Again I added the ribbon using Always Ready Tacky Glue. Be sure not to use too much glue with a satin ribbon because it can darken the material. Allow your glue to dry completely and you are ready to set the table. 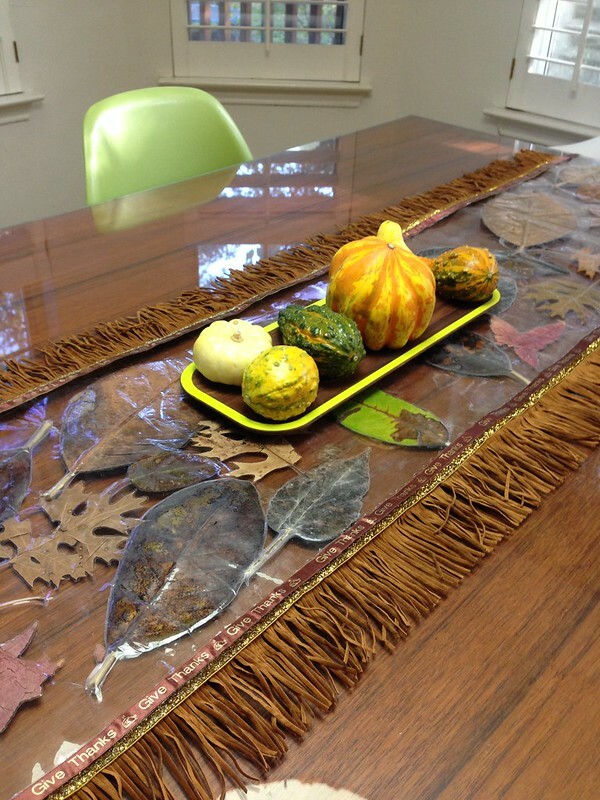 I love my table runner so much I am not cursing the day I ever sent my kid to public school anymore. 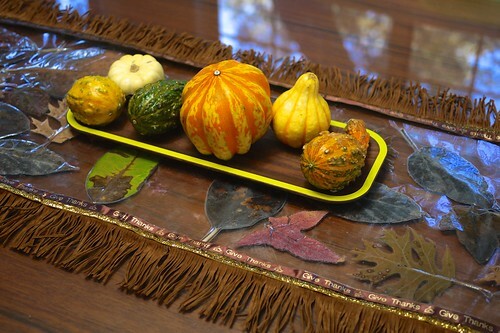 Maybe they are on to something - decorating for fall can be fun! I love your laminated table runner. It is so unique. I guess I need a laminating machine for Xmas :) How would you store your runner? Would the leaves crack if you rolled or folded it?